From their founding in 1943, the Association for Supervision and Curriculum Development (ASCD) has focused on one goal: supporting whole child education by supporting educators. Each year, ASCD hosts an education conference, bringing together thousands of educators to learn, collaborate, and develop as leaders. This year, the ASCD Empower 19 conference takes place March 16-18, 2019, in Chicago, Illinois. ASCD has been at the forefront of education for more than 75 years, helping to shape the American educational experience in ways that benefit all students. As the employment landscape has radically changed over the past few decades, education has also had to change in order to prepare students. ASCD brings together educators from around the world to create the environment of learning and leadership that students need. The annual ASCD education conference is one of the oldest and largest of its kind. Three days of pre-conference institutes and three days of conference sessions mean that attendees can choose from a vast selection of topics. Forbes magazine recently named Empower 19 one of the five most innovative conferences for educators to attend in 2019. During the three days leading up to ASCD Empower 19, pre-conference institutes offer an in-depth examination of topics relevant to today’s educators. These institutes allow attendees to experience immersive learning on a single topic, including leadership, school culture, and curriculum development. Additional, separate events during this time period include school site visits, museum tours, and a global learning summit. 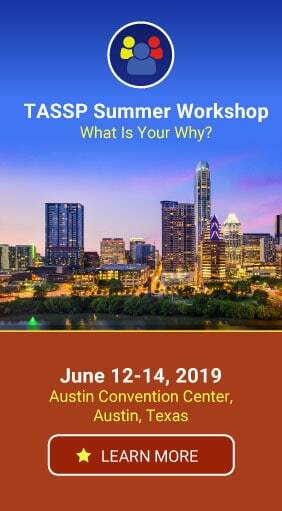 Pre-conference sessions are separate from the ASCD Empower 19 conference and require separate registration. Pricing for pre-conference activities can be found here. Separate events pricing can be found here. For more information about the pre-conference institutes and affiliated events, click here. The ASCD Empower 19 conference allows educators to design their own professional learning experience by offering a wide selection of more than 400 sessions, keynotes, labs, presentations, and panels. Whether you will be attending alone or as part of a team, you can maximize your participation by selecting the sessions that fit your goals. The entire online conference schedule can be found here. Or, search the schedule by date, keyword, speaker, topic, or area of focus by clicking here. ASCD Empower 19 brings together speakers and presenters from a variety of vocations and professions. Some come from the educational sphere, while others are well-known to the general public. Each brings a unique perspective to the conference, as well as a common focus on students and educational issues. For more information on speakers scheduled for ASCD Empower 19, click here. ASCD Empower 19 takes place March 16-18, 2019, at McCormick Place in Chicago, Illinois. With more than 8,500 attendees expected at this conference, you’ll want to register soon! Early bird registration is available until February 15. Click here to go to the registration page. There are two hotels adjacent to McCormick Place: the Hyatt Regency and the Marriott Marquis. McCormick Place is also just minutes from downtown Chicago and the many hotels and amenities located there. 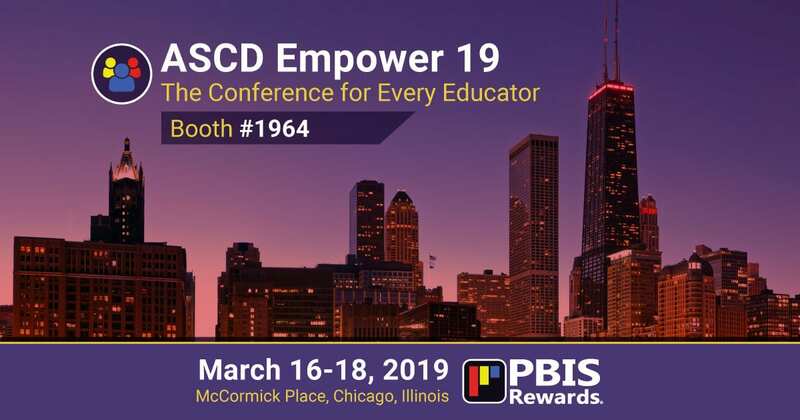 PBIS Rewards is excited to be an exhibitor at ASCD Empower 19! Stop by Booth #1964 to experience PBIS Rewards for yourself. 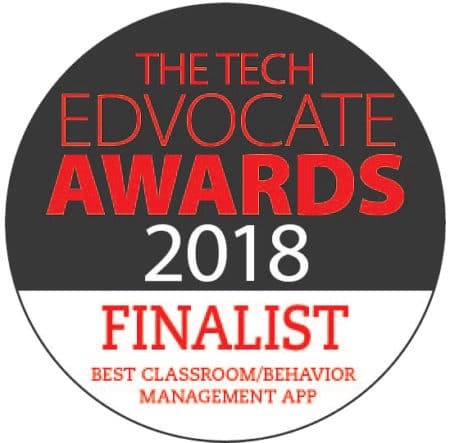 You’ll be able to get a live demo of our PBIS management software and exclusive access to try the PBIS Rewards Staff App. We’ll have giveaways, too! We hope to see you in Chicago at ASCD Empower 19! Can’t Make it to ASCD Empower 19 in Chicago? If you’re unable to make it to ASCD Empower 19, don’t worry! You can request a demo of PBIS Rewards right now. See the many ways PBIS Rewards can help to simplify management of your PBIS initiative. Request your demo below and we’ll take care of the rest.